I received a two notifications from our network this past week of really good infographics on the future of work (PS, we rely on our network to send us this sort of information, so please don’t be shy when you find something you think we’ll like – send it!). The first is a new one, from Guthrie-Jensen Consultants. It lists the ten skills we will need to thrive in the future of work. It’s a good list and a well put together infographic. See it here. The second is by futurist and author, Richard Watson, on his What’s Next blog. It’s a visualisation of the major trends that are changing the world right now. 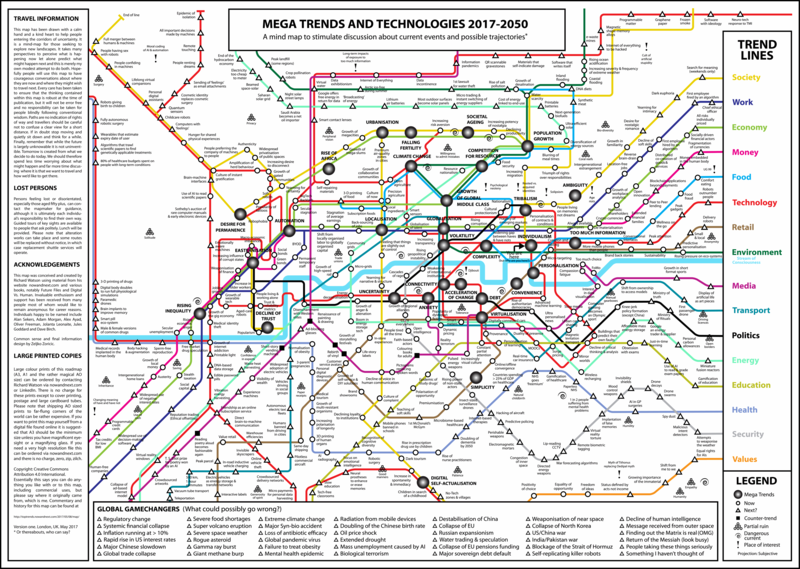 Well worth investing some time to browse through this complex image – see a high res version here.